Lynwood – Lynwood High School senior Mark Iniguez knows that the high cost of college can be a barrier for students so he was determined to get a jumpstart by taking college courses and exploring scholarship opportunities. 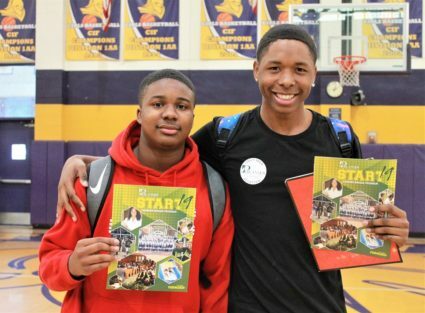 Iniguez’s hard work paid off in a big way on Feb. 1 when he was offered a $92,000 scholarship to Benedict College during the Historically Black College and Universities (HBCU) Caravan Tour. 02.08.19_LUSD_HBCU1: Lynwood High seniors Tobazje Lackey-Kemp (left) and Anthony Collins were accepted to Philander Smith College during the Historically Black Colleges and Universities Caravan Tour on Feb.1. 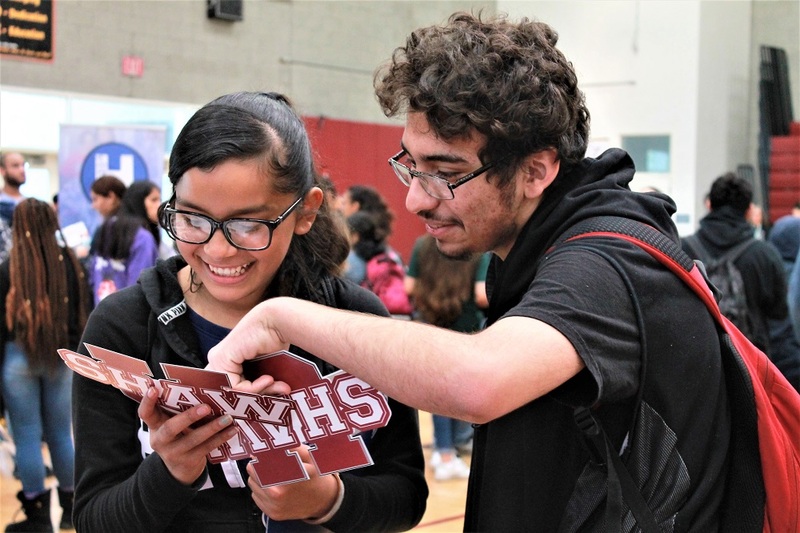 02.08.19_LUSD_HBCU2: Over 20 representatives from Historically Black Colleges and Universities visited Lynwood and Firebaugh high schools on Feb. 1, presenting students with on-the-spot college acceptance, information about their schools and scholarships.